The measures announced in Budget 2019 will not be enough to “kick-start” the already subdued property and housing market, said property experts. 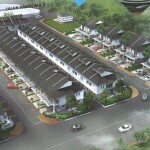 “The measures for the property sector are too small to affect the market in any way. The market is already subdued, already slow. 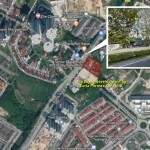 Overall, I don’t think there will be any impact at all as the changes are rather minimal,” said Malaysian Institute of Estate Agents past president Siva Shanker. He said some of the policies such as the increases in the Real Property Gains Tax (RPGT) and stamp duty rates are unpopular but believes that Malaysians understand that the new government should be given a chance to fix the problems left behind by the previous government. 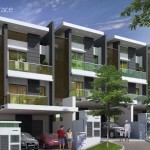 Siva said the increase in stamp duty for properties above RM1 million from 3% to 4% will not worsen the overhang as the majority of such units are within the RM500,000 to RM1 million price range. 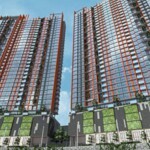 “The majority of overhang units are in this price range and most of them are in the speculative market. The higher RPGT rate would also get rid of speculation and false demand in the market,” he told SunBiz. On measures announced for first-time home buyers, he said any kind of concession is useful as many first- time home buyers are from the bottom 40% (B40) group, who may be able to afford monthly repayments but face difficulty in coming up with the downpayment. “Any kind of savings is useful for them,” he added. 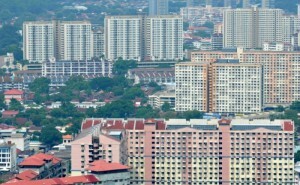 Association of Valuers, Property Managers, Estate Agents and Property Consultants in the Private Sector Malaysia past president Datuk Siders Sittampalam said Budget 2019 could have included some initiatives to kick-start the property market. “I thought the RPGT would be reduced to boost the property market but, instead, the rate will be increased. This will have an impact on property investors. It will discourage those who buy for investment, which will result in a drop in rental properties as fewer people will buy for renting out. “Foreign property investors will also be discouraged as the RPGT will be increased from 5% to 10%,” he said. On the developers’ commitment to reduce house prices by 10%, he said there is no visibility to ensure that they actually reduce prices. “How will the government ensure that there is a 10% reduction in house prices? If the developer says his selling price has been reduced by 10%, the buyer would just have to accept it. It is not visible,” Siders said. “However, I must acknowledge that the government has done quite a bit for the affordable housing segment. These moves will help. There are also other good ideas such as the property crowdfunding platform, but it is too soon to comment as the details are not out yet,” he added. Malaysia is going towards the way of a xenophobia ruled country. Ah, except towards Japan ?